Get notified when tickets are available! Love watching professional wrestling on television? SummerSlam is your chance to check out the action live. Every summer, top names from RAW! and SmackDown! World Wrestling Entertainment gather to duke it out on pay per view, and those with tickets to the event get to watch the matches live. 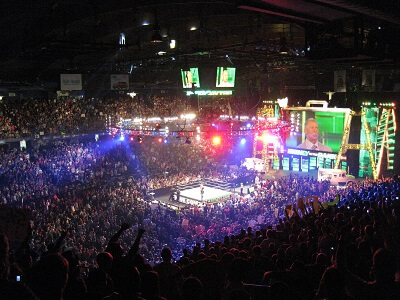 Often, SummerSlam is held at the Staples Center in Los Angeles, California, or at Madison Square Garden in New York City, New York; however, the venues can change from year to year. The one night event takes place in August, and you can get your tickets by clicking on the link above.